When a character occupies a Shiftscape, the character may spend 1 MV to move to another Shiftscape on the battlefield. 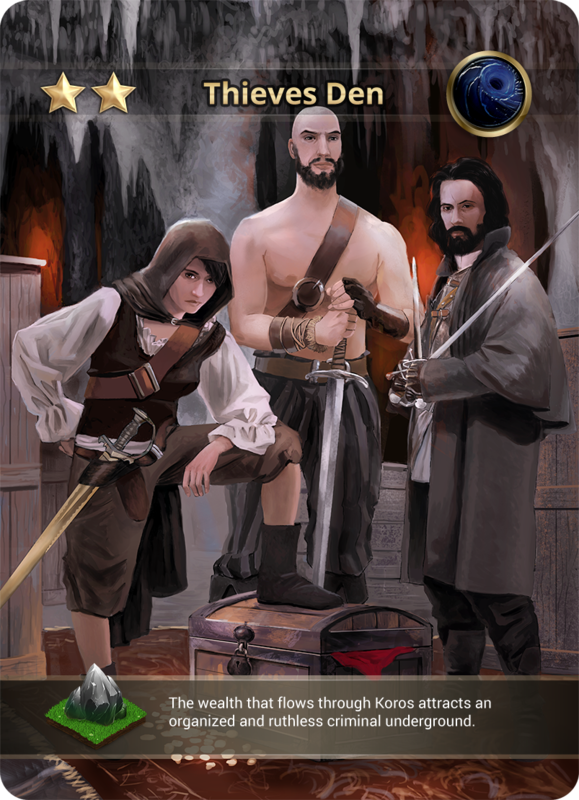 If one of your characters occupies Thieves Den at the end of their turn, [On 1-50] randomly take one card from opponent's hand. Characters attacking a character occupying Eryndur Grove attack as though they have [Blind]. Abilities that nullify [Blind] do not affect this location. 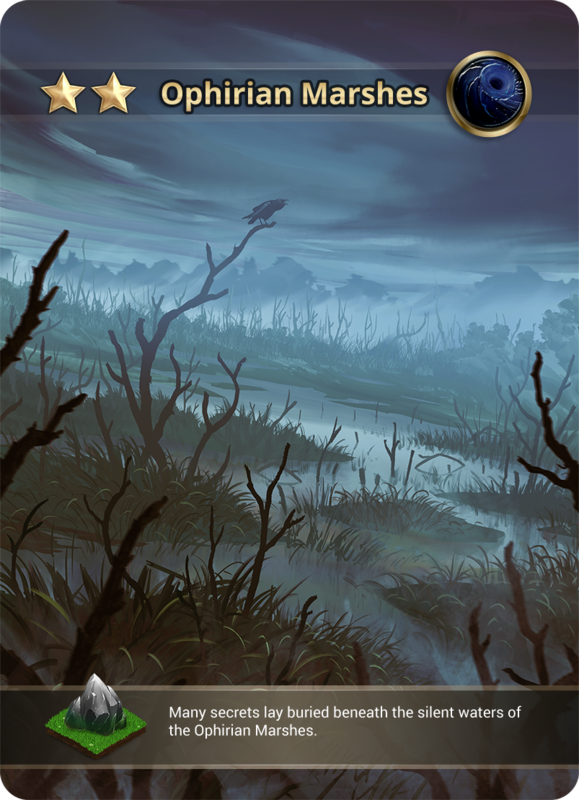 If a character ends their turn on Ophirian Marshes, [On 1-50] player immediately draws 1 card from the last 3 discarded Speaking Stone cards. Choose an element. Once Tenebris portal is placed on the field all abilities with chosen element type now cost +1. Not stackable with same element by any player.